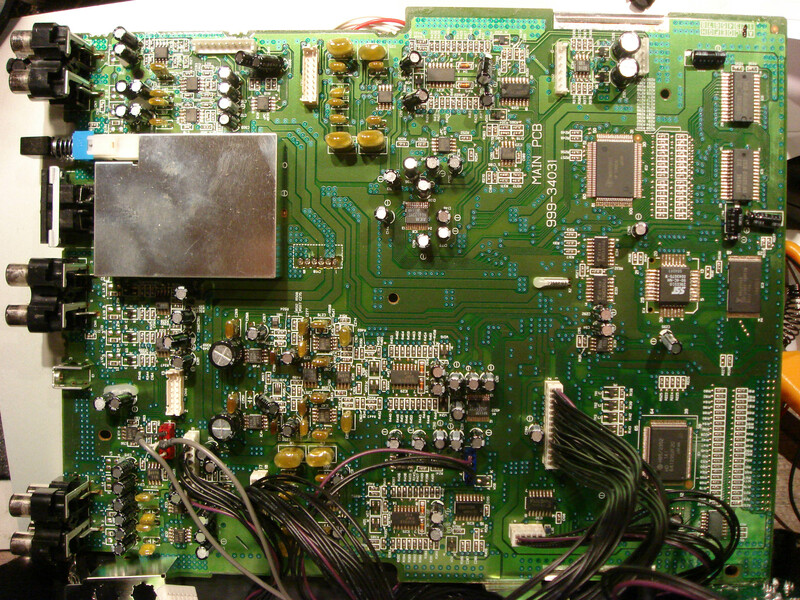 So, earlier this month, I posted a note that the serial EEPROM on the main board contained the serial number and formatter ID, among other things, for the HP2600N printer. A little tinkering around has revealed that the watermark is likely not in this EEPROM either! 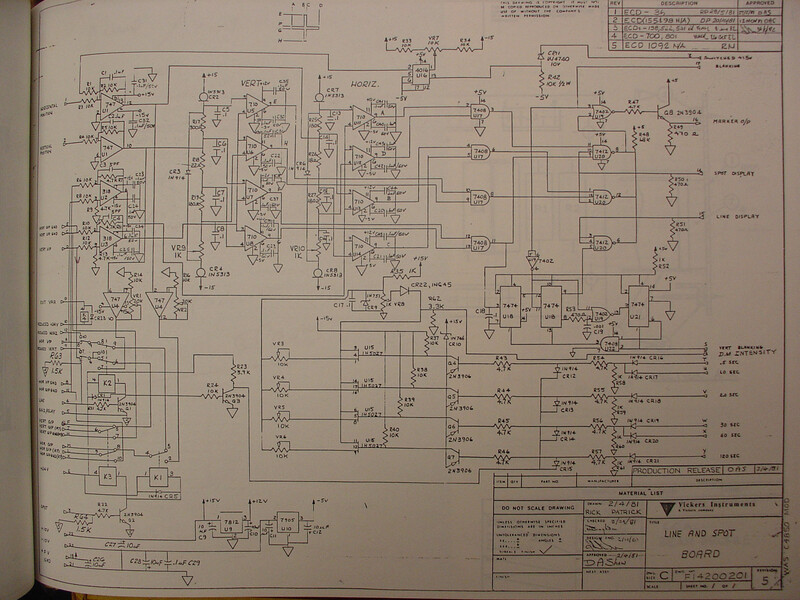 After poking through a few promising areas, I tried just outright removing the EEPROM and printing a test page…the printer lost its serial number, calibration information, page count, MAC address, etc, but the watermark pattern was still there…which indicates that the watermark information is burned into a level much deeper than I had originally suspected in the printer’s core. Yowza! Back to the drawing board…something to sleep on. For those joining late into this thread, you can read more about the color printer watermarks at this EFF webpage. I thought this photo was too precious not to post. 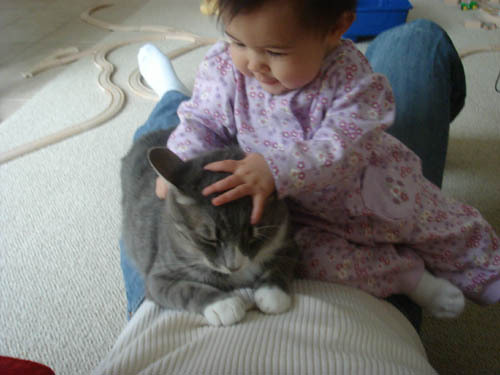 That’s Cade and Karin’s baby, Kyla, playing with one of their cats (I think this one is Jules) on my lap. That is one chill cat…he just sorta sat there and took it, no complaints. 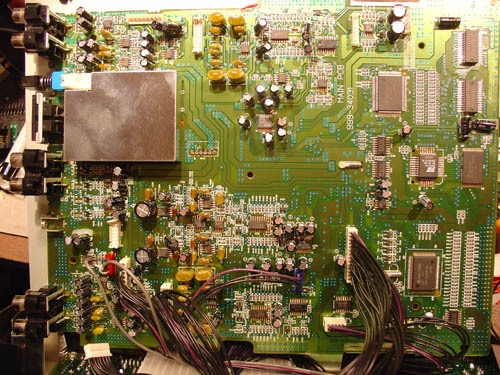 I thought some readers might find it interesting that Chipworks has already de-capped and photographed the silicon inside the Xbox-360. You can read more at their press release. Bring out the big guns! For those unfamiliar with Chipworks, they are a leading silicon reverse engineering firm. I saw their booth once at ISSCC and they had a copy of the full schematics of a Broadcom 802.11 WiFi transceiver RF backend that they had extracted from silicon. 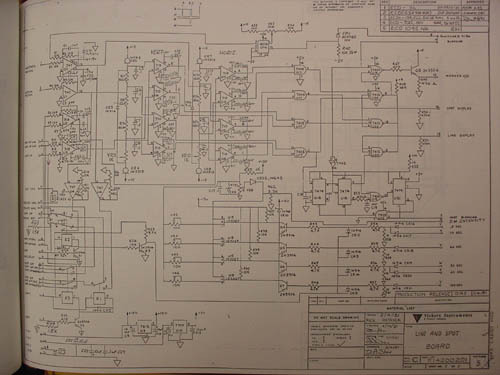 I overheard a comment from the Broadcom engineers that the Chipworks schematics were better documented than Broadcom’s internal schematics…shows how high quality these guys are. The Ware for November, 2005, is shown below. Click on the image for a much larger view. While on my travels in Japan, I picked up a new camera, a Sony Cybershot T9 (japanese site / english preview). For the record, all of the photos on this website are shot with a Cybershot DSC-V1, a 5 megapixel camera with excellent optics and a night-shot feature. I scored a Cybershot T9 at Akihabara on its Japanese introduction date (11/18/05); you can’t get it in the US until January 20th, 2006. The released model has only Japanese menus, so you have to be able to read Japanese to use it. The T9 is a 6-megapixel super-slim camera, also touting Carl Zeiss optics. Its best features are a very quick startup, rapid fire shots, portability, good battery life, and “Super Steady Shot”, Sony’s anti-shake DSP technology that allows you to take pictures in low light conditions and no flash and not have them be totally blurry. If you check out the blog entry below about Hong Kong and Japan, most of the Japan photos were taken with the T-9, and the Hong Kong photos with the V-1 (click on the links to see the photos, I use hyperlinks to save on bandwidth). The T-9 is a great camera for every day use, but I’ll have to say, I’m sticking with the old Cybershot DSC-V1 for the photos on this website. Despite its lower pixel count, the V-1’s superior optics (and I think superior image sensor/analog circuitry) yields crisper, more readable pictures. For comparison, you can download the above hi-resolution photo taken by the T-9 with and without super steady shot enabled (you can see that super steady shot causes blurring of fine details, even though I have found it very effective in reducing macroscopic blur). For those who prefer a side-by-side comparison, here is a small portion of each photo enlarged: left, 5-megapixel DSC-V1; middle, 6-megapixel DSC-T9; right, 6-megapixel DSC-T9 with steady shot turned on. The side by side comparison doesn’t highlight all of the flaws of the T-9, as the image quality varies with contrast, position on the image, and so forth, but it gives you a flavor for the situation. It just goes to show me that optics and sensors are as important, if not more important, than your megapixel count if you care about fine detail. Nonsequiters about cameras aside, this month’s ware is a bit obscure, but I expect that someone will be able to guess it right out by the time the month is up. It’s a fun one, and I enjoyed taking it apart to see what was inside…I had been wondering what it looked like in there for a long time. Winner of Name that Ware October 2005! 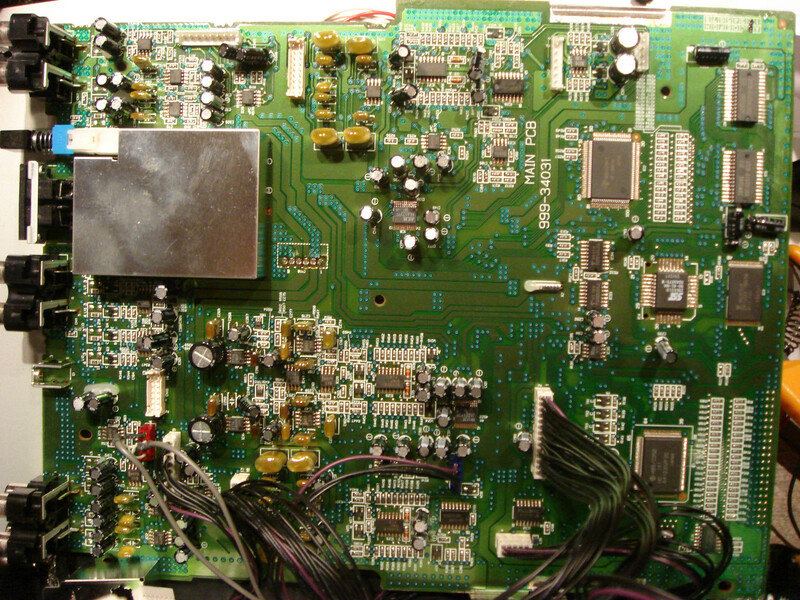 This board is in fact a “Line and Spot” board from a scanning electron microscope (SEM). 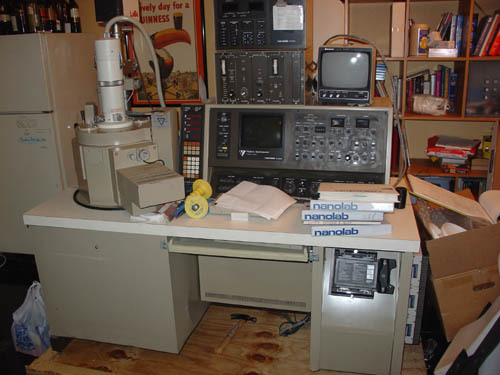 It is responsible for rendering an overlay of a crosshair or spot onto the video output of the SEM. 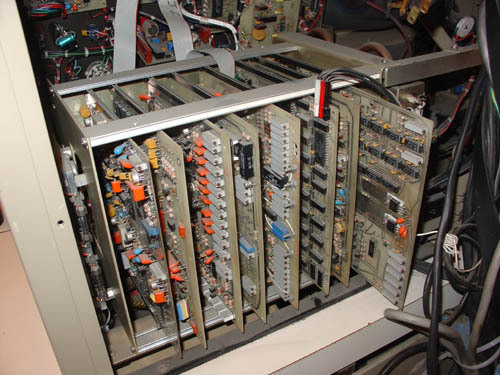 Its input is a set of analog voltages that represent the horizontal and vertical position of the raster, and the resistor ladder + comparators (identified by many as a FLASH A/D converter, which it is in a rather odd sort of way) are responsible for toggling the overlay output on or off. The potentiometers are used to calibrate the dimensions of the crosshair. Some may ask “why?” I respond with, “why not?”. Why do people buy old Mustangs and fix them up, when they can buy a more efficient, faster, and quieter car? Plus, once I get this up and running (it needs a lot of infrastructure to run properly) it’ll be a great tool in the old toolbox.